The start of Koan AS. It all began when Ole Røhnebæk and Ann Kristin Konradsen founded the company Koan AS in 1998 and started Vikingskipet Motell & Vandrerhjem in Hamar. Ole found the name Koan in a book about buddhism at the public library in Bergen, where he lived and was a fellow student in tourism at the Agriculture Department in Hordaland. In 1998, Geir Evensen joined as an active board member. The name’s company is derived from senbudism and one of the most famous Koan is the “sound of a hand clap”. From the very beginning, the vision of the company has been to give the guest a “good start to the day” and to use the stomach feeling in all big and small decisions in everyday life. That vision has followed the business up to today. In 2002, when Ann Kristin retired, Geir entered as an active co-owner. With 2 creative souls, the space was quickly expanded to a capacity to accommodate all the guests that flowed. A new apartment building, kitchen and dining room stood ready to the Skating European Championship in 2004. The guests could not only have a nice breakfast but enjoy it in front of a new fireplace with crackling birch woods. Offers about meeting rooms and apartments were well received and 8 years after the start-up, a new era was started. There was pizza and dinner service and in 2007 a coffee bar came as the next grant. Eventually, not only could the company give the guests a good start to the day, but build up during the good start throughout the day and throughout the evening. In 2005, Geir got home and his offer came to take over at Skysstasjonen at Lillehammer. In January 2006, he started Lillehammer Vandrerhjem Station together with his wife . The working capacity was large and the following year Ole and Geir took over the operation of Gjøvik Vandrerhjem Hovdetun. After 5 years of “Wrong side of the lake Mjøsa”, operation was taken over again by Norske Vandrerhjem, region east, in autumm of 2012. In 2010 Rom Eiendom AS started as a homeowner for Lillehammer’s planning and renovation of the Lillehammer Ski Station. In close cooperation with the public and the tenants, there were opportunities for expansion. The reception and dining room were planned to be moved down to 1st floor and the building could start. During the construction period, the kitchen and catering business were moved to Lillehammer Library, and the creation of the “Leseriet Lunsj” and coffee shop was a fact. It was officially opened on Saturday, March 26, 2011, and the Cafe Stasjonen and our newly renovated hostel were then officially opened on November 28 that year. The “Leseriet Lunsj” was closed in March 2014 after 3 years of operation in order to fully focus on further operation of the café and the restaurant at the station. 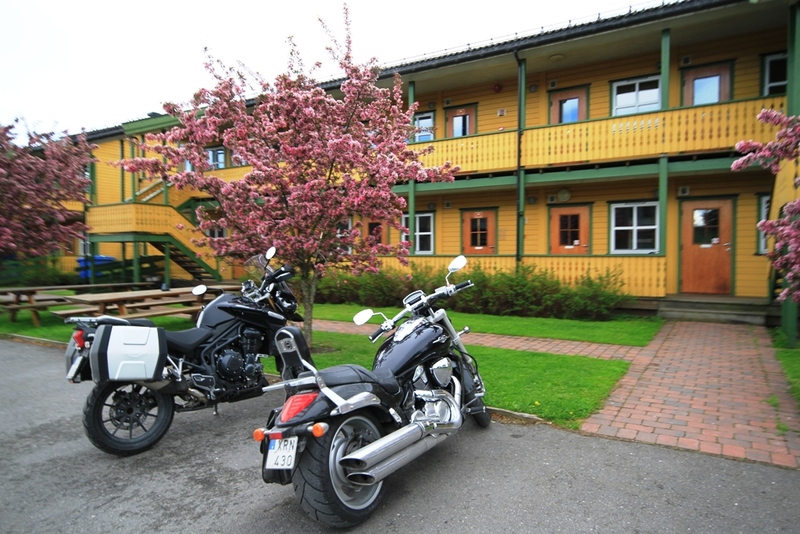 A project that was probably more work than cash in a box, but which was a good experience was the purchase of Røisheim accommodation at Rudshøgda. It was purchased by a new company Koan Ringsaker AS – owned 50% by Toge AS and 50% by Koan Invest AS. The property was a house, an apartment and cabins that were used for long term rental. The property was sold in the spring of 2016. 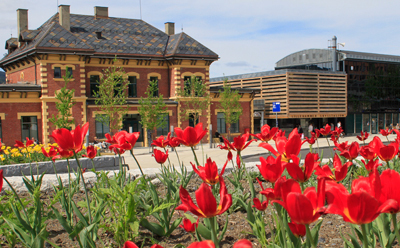 In 2013, 8 new rooms were erected in the building owned by Koan in Hamar and the year after Koan Apartment expanded with its own office building that released another 4 rooms for rent – so the total number of Hamar was 78 rooms. This is until the last expansion, but the company is constantly on the offensive and wants to develop products and offers. This way, you will always have a good experience as a guest and we can face new challenges as drivers . Probably it’s what guides us as owners and drivers! Koan AS – was founded before Christmas in 1997. Behind operations at Hamar and owned by Toge AS and Koan Invest AS. The companies in the “Group” are Toge AS owned by Tove Hasselquist Evensen and Geir Evensen and Koan Invest AS owned by Ole Røhnebæk.Koan Eiendom AS owns “Vandrerhjemsbygget” on Hamar and is 100% owned by Koan Invest. 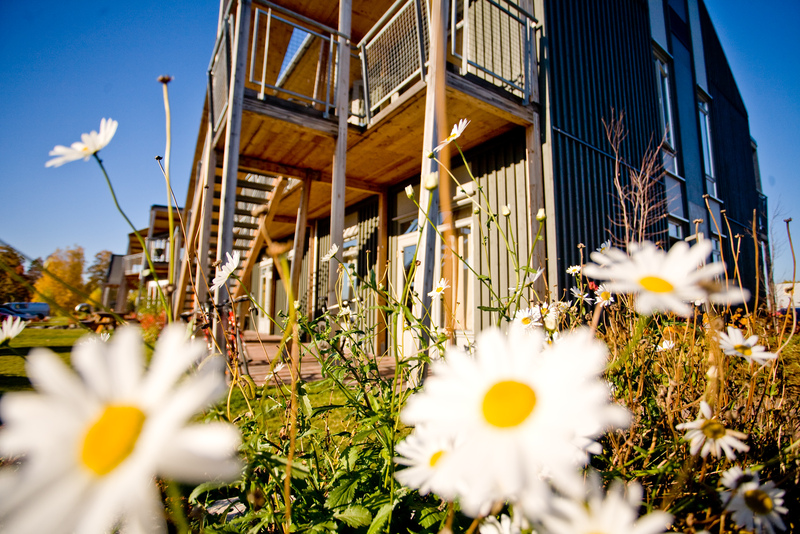 Koan Appartement AS is the company that owns the apartment building at Hamar and is owned by Koan Invest and Toge AS. Koan Lillehammer AS is responsible for operating at Lillehammer and owns 55% of Toge AS and 45% of Koan Invest AS.